The Moon is in Taurus today and passing through a "liminal" space in the heavens, where there are no constellations or stars touching the ecliptic. Liminal literally means threshold; it is the state of being in-between. It is a space of transition, and also one of mystery. This expansive stretch between Aries and Taurus is thought to be a place where planets can be characterized by a particular emotional heaviness. It is in this stretch that Algol, the severed head of Medusa, located in the constellation of the hero Perseus, stares angrily toward Cetus the sea monster. Algol represents raw, primal, [sometimes feminine] rage. And Cetus has an appetite for humans. 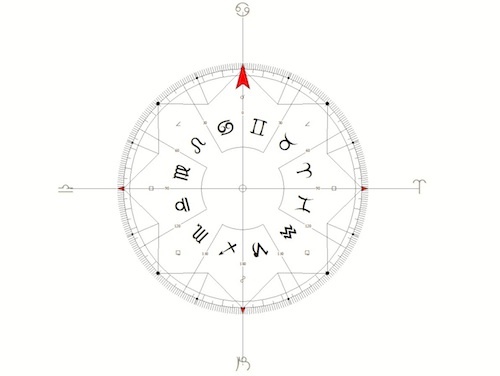 With planets here (roughly 0 to 23 degrees Taurus) one can be especially sensitive to collective trauma and can, in a way, feel the pain or anger of the world.